Packs of 10 tickets are available at a reduced rate. Rides within Sheridan city limits may be purchased Monday through Friday at The Hub front desk with cash, check or credit card. They can also be purchased from a Goose Creek Transit driver. Drivers can only accept exact cash, and do not carry change. Individuals must pay PER RIDE OR TRIP. Please be ready prior to your scheduled pick-up time, as the driver can arrive within 15 minutes of your scheduled time (before or after) and be considered prompt. Call for a ride from shopping no later than 3:00 PM. Riders will not be picked up after 3:00 pm on weekdays (with the exception of medical and employment appointments). Please make ride reservations for important appointments as soon as you make the appointment. For example, if you have a doctor’s appointment in three weeks, you can schedule your ride three weeks in advance. Reservations are based on space availability. Same day service is on space availability only, and/or for an urgent doctor’s appointment. Sometimes plans change and you no longer need a ride. If you need to cancel for any reason, please call us as soon as possible. 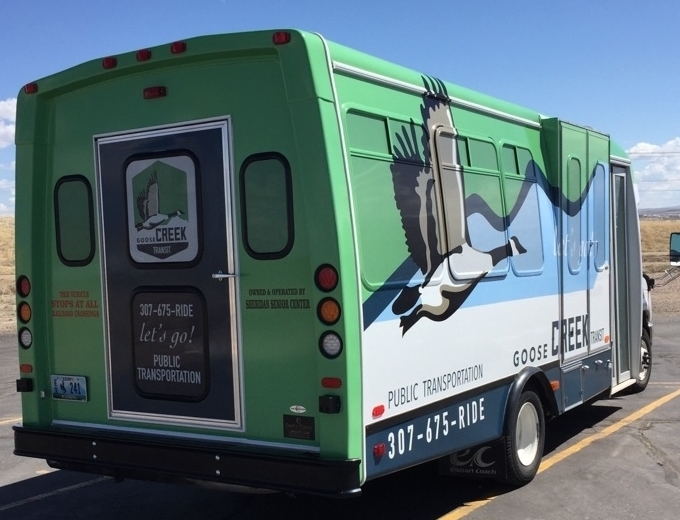 This will save Goose Creek Transit the cost and time of an unnecessary trip, and allow us to provide a ride to someone else. Goose Creek Transit is committed to ensuring that no person is excluded from participation in or denied the benefits of or be subject to discrimination in the receipt of its services on the basis of race, color, national origin or any other characteristics protected by law including Title VI of the Civil Rights Act of 1964 as amended. 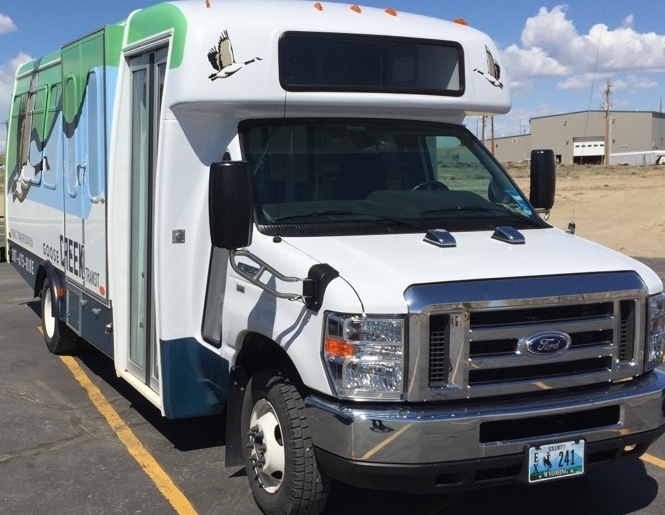 If you believe you have been subjected to discrimination, you may file a written complaint no later than 180 calendar days after the alleged discrimination, addressed to Steve Ainslie, Transportation Director, Goose Creek Transit, 211 Smith Street, Sheridan, WY 82801. If you need assistance with a written complaint (o si no halba ingles, llama por) call Steve Ainslie at (307) 675-7433.